Aaron was raised in Portland, Oregon, where he attended undergraduate. In 2006 he and his wife moved to Las Vegas, Nevada so he could attend law school. He resides there with his wife and four children. 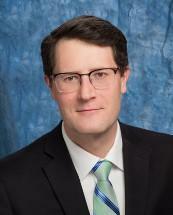 Prior to joining Lobb & Plewe, Aaron worked as associate general counsel for one of the largest trust companies in Nevada, represented major lenders in real estate matters, worked for one of the oldest and most respected estate planning firms in Las Vegas, and one of the largest regional firms in the state. He was voted by his peers as one of Nevada's Legal Elite, published in Nevada Business Magazine, for years 2016 and 2017. Aaron’s focus is in estate planning, asset protection planning, tax planning, and corporate planning. Aaron is the head of the captive insurance practice for the firm in Nevada. He also has experience with real estate transactions, ERISA, bankruptcy, probate, and guardianship. He is licensed to practice in Nevada and California, and before the United States District Court, District of Nevada, United States Tax Court, and the United States Bankruptcy Court.